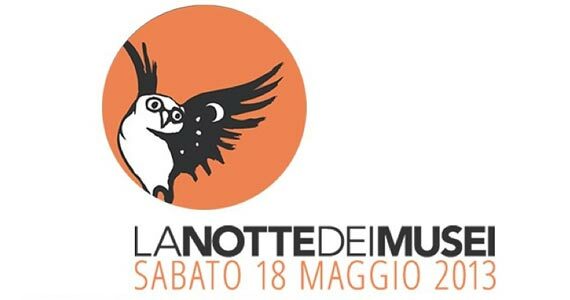 Saturday, May 18 is the Night at the Museum, an initiative taking place across all of Europe – and which means free entrance into many, many museums and special events! In Florence, Palazzo Vecchio will be open for free visits from 6pm to midnight, including the walk around the patrol paths on the ramparts overlooking Piazza della Signoria (but you need to reserve). The tower will close at normal hours at 6pm. Info and bookings at 055 2768224. Palazzo Strozzi will open its doors from 8pm to 11pm for free visits to its current exhibition, “The Spring of the Renaissance” and “An Idea of Beauty”. Last entrance is at 10pm. The Planetarium in Florence (via Giusti, 29) has organized many activities for families as well as guided visits for all. At 8pm, a workshop for children explored what the first astronauts saw and experienced and will be able to create rockets using recycled items. Perfect for kids between 6 and 12 years old, the workshop is 60 min long. Cost is €5. At 9 and 10pm, the planetarium is open for the entire family to discover the constellations. Minimum age for kids is 6 years old. Adults €6, children €5 or if participating in 2 activities. Between 8pm and 11pm, the Physics Collection is open for free – with over 3000 instruments and machines, it is the largest collection of all of Europe as regards instruments for studying and teaching physics in the 19th century. Visits every 30 minutes. Between 7:30pm and midnight, the Salvatore Ferragamo Museum will also open its tour for free visits and to its current exhibit, “The Amazing Shoemaker”. At the Medici villas near Florence several events are planned. – at Villa La Petraia, at 9pm, you can listen to the beautiful musical concert by “Sesto in Canto”, an over 55 member orchestra while you visit the villa. – at the Villa in Cerreto Guidi, starting at 4:30pm, you can attend the conference about Bardini, the antiquarian of the Renaissance and at 9pm listen to the string concert by students from the Musical Academy of San Miniato Basso. – at Poggio a Caiano, the evening is called “The villa of Lorenzo the Magnificent: An Introduction to Your Visit! and at 9:15pm, staff will conduct visitors through the villa to present the main works of art and the palace. Booking is required at 055-877012 for the evening, last entrance at midnight. The San Marco Museum will be open for free visits between 7pm and 1am with a concert by the State Conservatory “L. Cherubini” starting at 8pm in the Library. – Medici villas at La Petraia, Cerreto Guidi and Poggio a Caiano. In Monte San Savino, near Arezzo, the medieval “Museo del Cassero” will be open with guided visits, wine tastings and more from 8:30pm to midnight. In Grosseto, the Maremma Archeological and Art Museum will be open from 9pm to midnight in Piazza Baccarini 3. In Livorno, the Giosue Carducci Museum Archive is open from 9:30 to 11:30pm while the Museum of Natural History of the Mediterranean is open from 8 to 11pm. In Pisa, Palazzo Blu will be open all day free, from 10am to midnight, where you can visit the two exhibits “Artemisia, the Muse Clio and the Years in Naples” as well as “Theater Costumes: Anna Anni and the Cerratelli Workshop”. Last entrance is at 11:30pm. In Pistoia, the Museo Marino Marini will be open for a concert at 10pm called “I frutti sonori di Pomona”. While there are no events in Siena (announced, at least) at the moment, there are a few in the surroundings. In Pienza, you can see the special contemporary dance exhibition by ZbandajBallet at the Palazzo Borgia while taking in the flower show taking place over the entire medieval village. The museum will be open from 9 to 11pm, free entrance. In Castelnuovo Berardenga, the Museum of Landscape will remain open from 9 to 11pm for free visits. For more details, visit the official site here: http://www.lanottedeimusei.it/programma/ (although not all museums open are listed here).